Network connectivity: Easily connect to your network and enjoy fast network speeds with Gigabit Ethernet or optional wireless* connectivity. No waiting: An 800MHz dual-core processor and a generous 256MB* of onboard memory enable fast data processing. Finish your print jobs quickly and efficiently with the high-performance processing and wireless connectivity provided by the Dell B2360dn laser printer. Dual 800MHz processors and a generous 256MB* of onboard memory enable fast data processing. 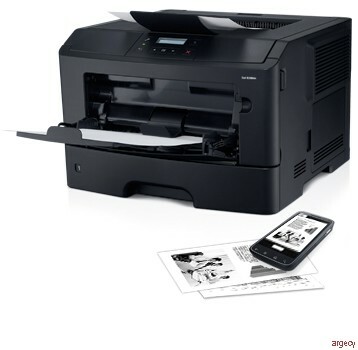 Get professional-quality prints at fast print speeds of up to 40 pages per minute (ppm) (letter) and 38 ppm (A4)* with up to 1200x1200 dpi resolution. Reduce paper usage with automatic two-sided printing. Stay well stocked with the standard 250-sheet input paper tray. Or, expand your printing capacity with the optional 550-sheet input paper tray. With a large duty cycle, a long-lasting drum and compatibility with the latest operating systems, the Dell B2360dn laser printer is designed for minimal maintenance. The Dell B2360dn printer is able to meet high office printing demands reliably with a large duty cycle* of up to 80,000 Max. pages per month. Minimize maintenance cost with a long-life imaging drum designed to last up to 60,000 pages. 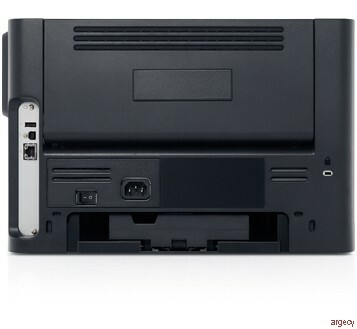 Integrate your Dell printer seamlessly into a Windows 8 environment. From network security, locking paper trays to Eco Mode operation capability, the Dell B2360dn laser printer is designed to help protect sensitive documents and the environment. Gain peace of mind with essential network security features designed to protect your data. The Dell B2360dn supports SNMPv3 , while the optional External Wireless Adaptor supports WPA2.0 and 802.1X wireless security. Keep your printer secured with a Kensington lock (Kensington cable sold separately). Use the optional lockable 550-sheet input paper tray to help protect costly or sensitive media, such as company letterhead and bank checks (optional tray sold separately). Securely access the Embedded Web Server (EWS) via password for secure authentication. Save toner and energy consumption by enabling Eco Mode functionality. Track usage and manage updates with tools designed to make the Dell B2360dn easy to control. Monitor, manage and create reports for the printers on your network with the Dell OpenManage - Printer Manager V2 (OMPM) utility. OMPM can enable fast deployment and driver updates. 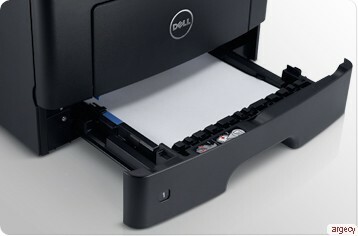 Reduce the software clutter on your PCs and streamline driver management with Dell Open Printer Driver (OPD).